Promacks Farm – Family. Fresh. Local. 2019 Blood Orange Season is Approaching! The blood oranges are filling with some good color and we think we can start picking on January 15, 2019. Our online Farm Store will be opening then. 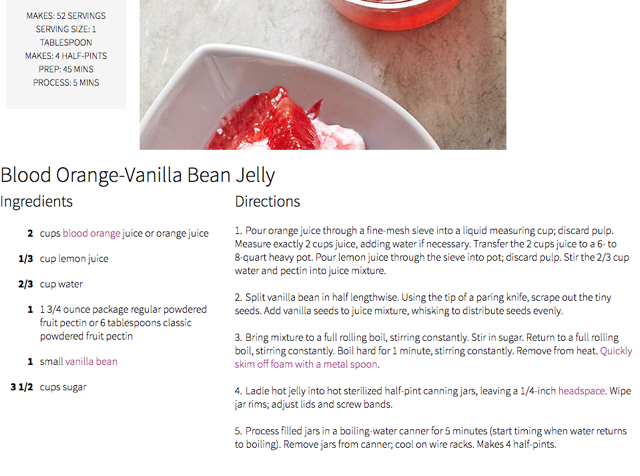 In anticipation of the upcoming blood orange season, I wanted to share this recipe from Better Home and Gardens. I have made 6 batches and it is delicious. 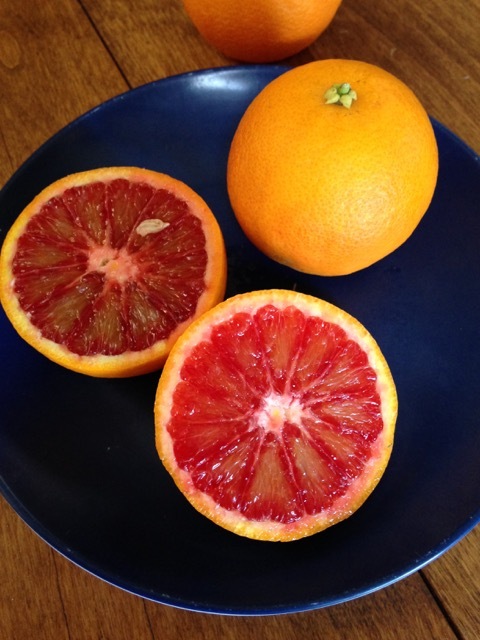 We can enjoy that wonderful blood orange flavor all year long. Blood orange season is officially over. Thank you so much for all your orders this year. 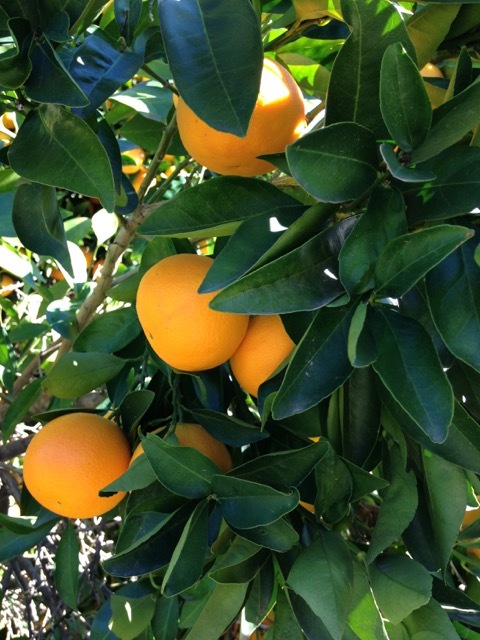 2018 Blood Orange Season – Open for Business! 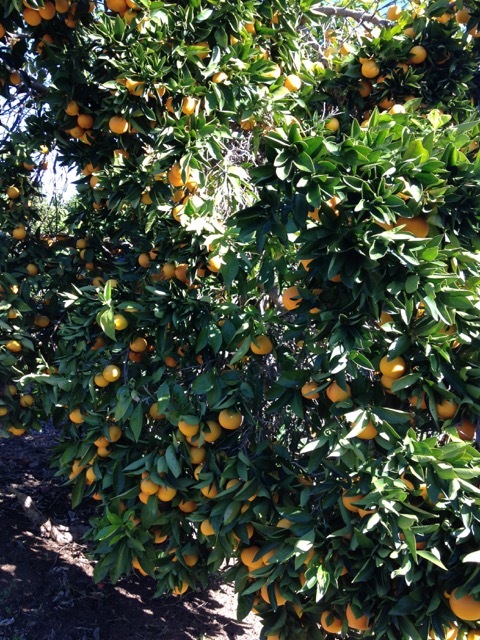 Our oranges are ready to pick and ship! Please visit our Farm Store to place an order. 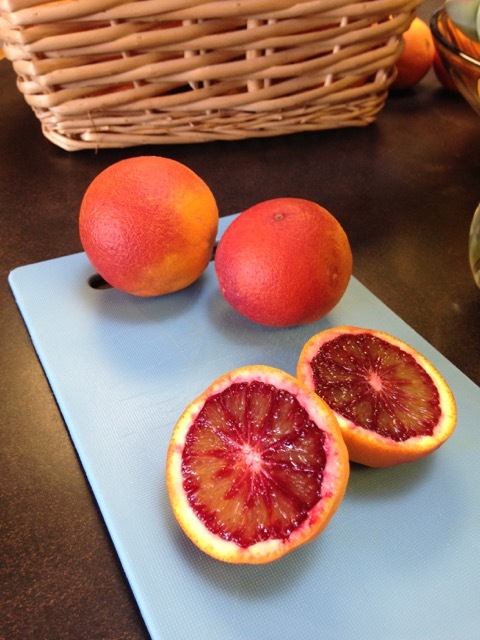 2018 Blood Oranges are almost here! Hello to all our peach fans! 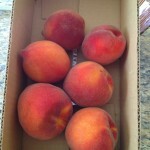 We had a wonderfully long peach season after a bit of a delayed start. 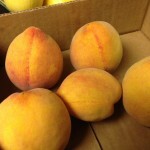 The weather seemed to stay cool enough just long enough for our peaches to stay nice and firm and perfect for the stand. We are now officially out of peaches for the 2017 year, but we still have our stand open to sell our other seasonal treats, including fresh cantaloupes AND tomatoes!! These are both super juicy and delicious, and you do not want to miss! So come on by and pick up some delicious produce. 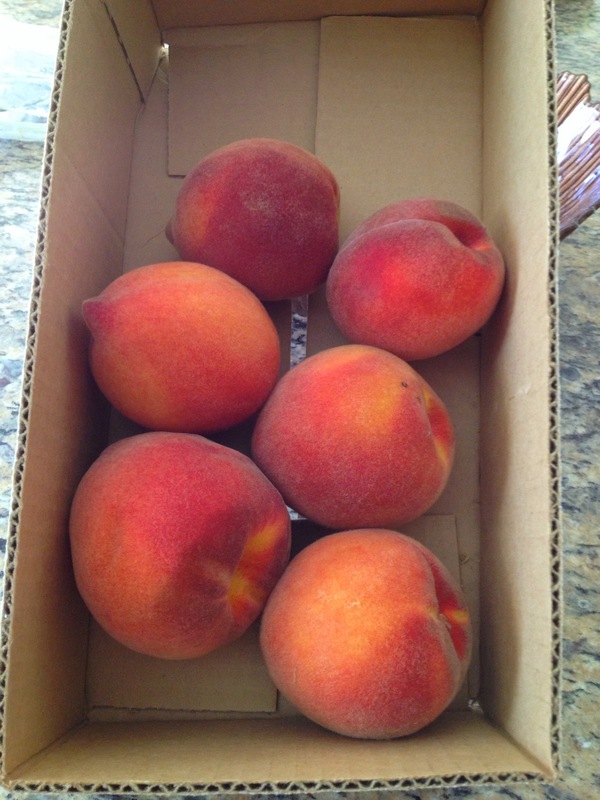 Peach season is about 5 days away. Farmer Dave thinks the fruit will be ready to sell around June 12th. Keep an eye out for our signs on Sycamore Drive signaling the fruit stand’s opening! 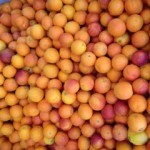 We’ll sell daily as supplies last, and will have our seasonal produce from our garden for sale as well. 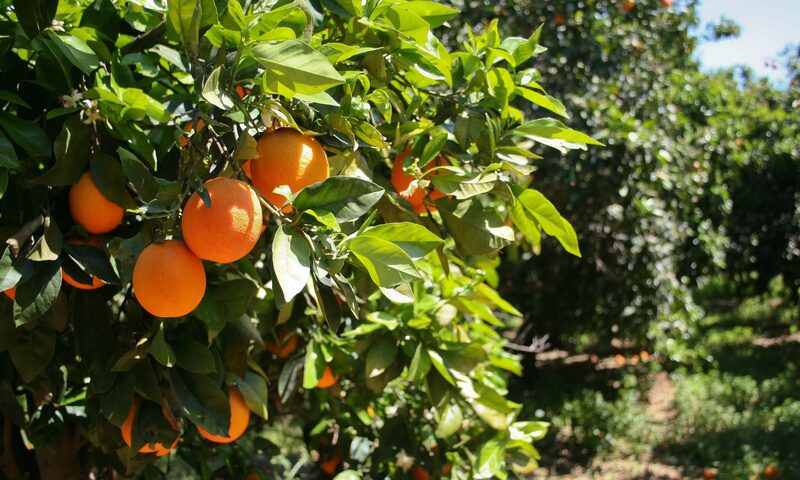 We had another succesful blood orange season in 2017, and we couldn’t be more appreciative of our customers and local businesses who supported us. Thank you so much to everyone who purchased our fruit. We look forward to seeing you at peach season, and again for 2018’s blood orange season. 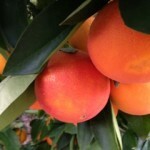 Promacks Farm has a good crop of blood oranges this year. 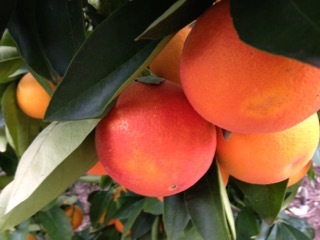 They are juicy and delicious with lots of that beautiful blood orange color. We will begin accepting orders on January 5, 2017 and will send out our first orders on January 10, 2017. 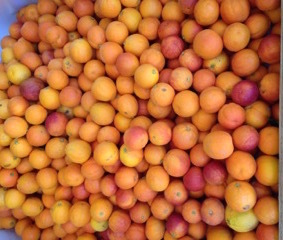 The oranges will be available in a 24 piece box for $18 plus $12 for shipping (that’s a total of $30). 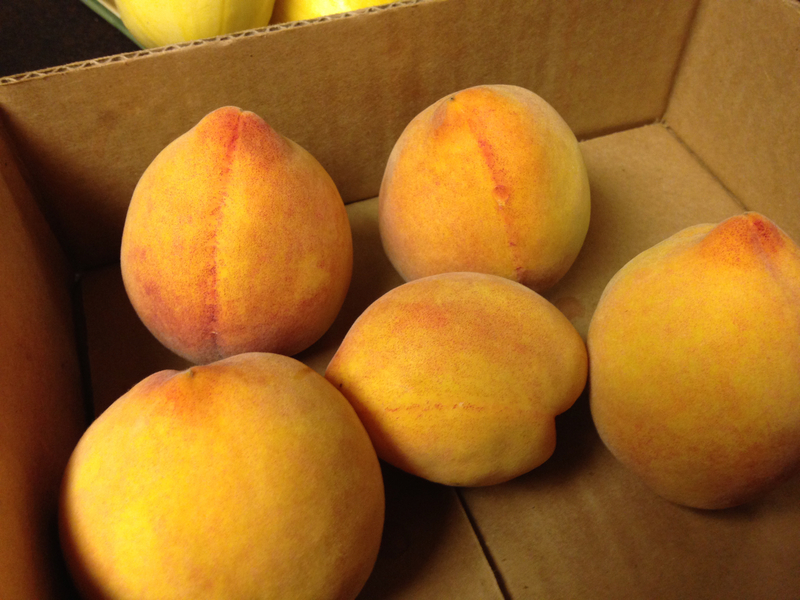 2016 peach season is here!